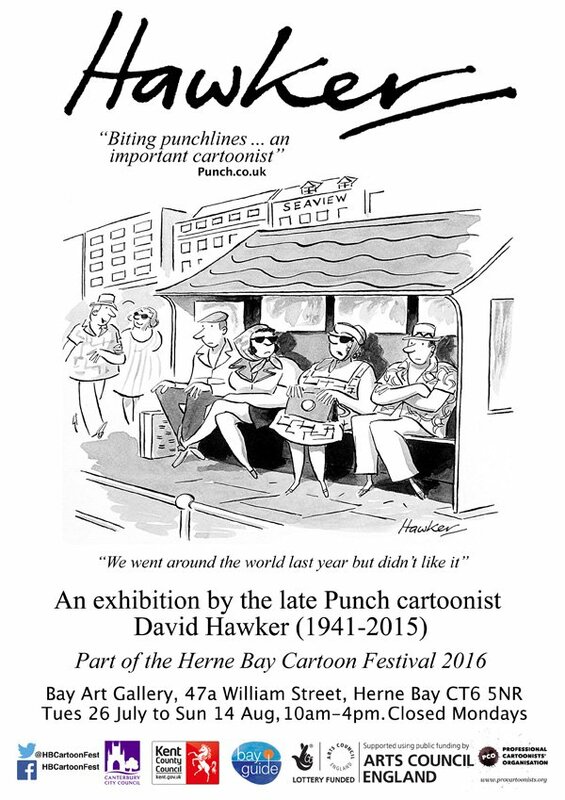 The fourth Herne Bay Cartoon Festival takes place this month. The festival’s flagship live event will be held, as usual, in the Bandstand on the seafront, on Sunday 31 July. 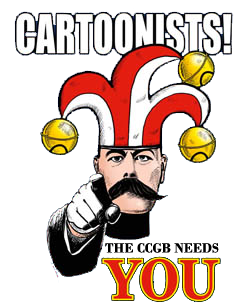 More than 20 cartoonists from all over the country will be there to draw big board cartoons, cartoon murals, caricatures and to host workshops. 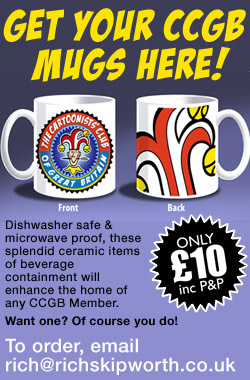 There will also be opportunities for the public to release their inner cartoonists and a few surprises and other general silliness. The main festival exhibition, Postcards from the Seaside, is currently being put together and will feature cartoons all about the seaside, many offering modern spins on the classic saucy seaside postcards drawn by the likes of Donald McGill. It opens at the Beach Creative gallery on Tuesday 26 July and runs until Sunday 14 August. 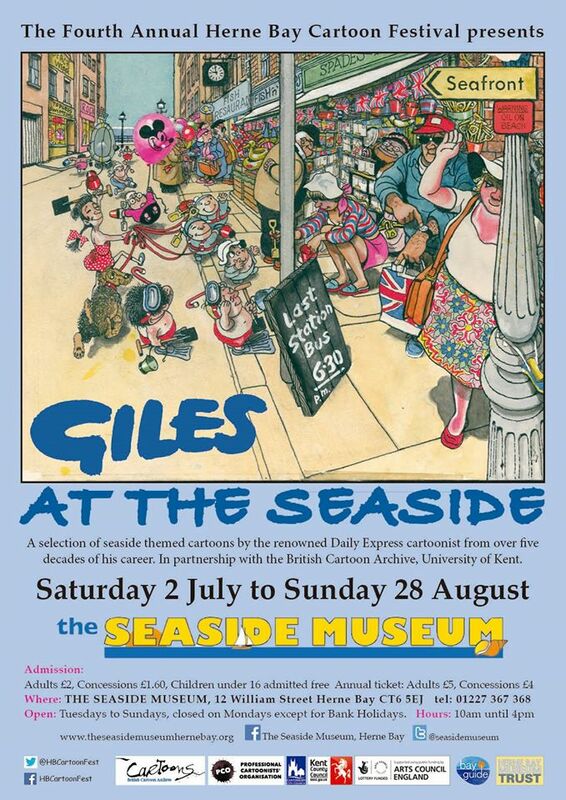 Kicking off the festival, from Saturday 2 July, the Seaside Museum will host the exhibition Giles at the Seaside. 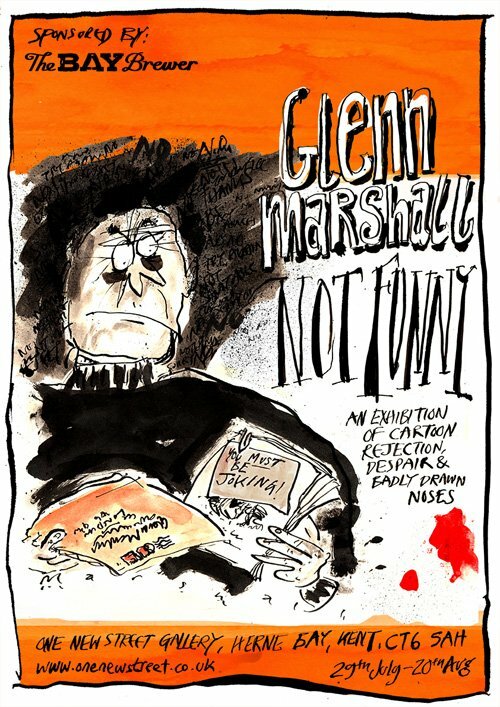 Featuring a selection of seaside themed cartoons by the much-loved Daily Express cartoonist, and spanning more than five decades, it is run in conjunction with the British Cartoon Archive in Canterbury. 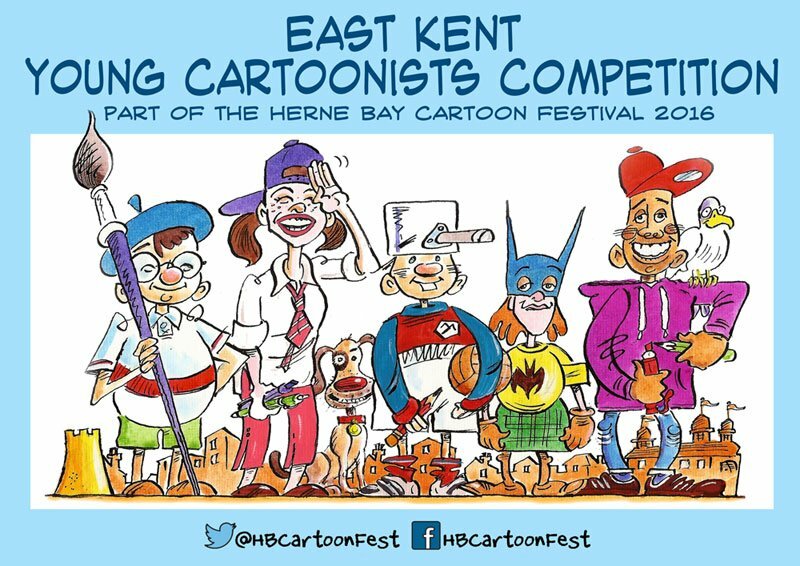 This year also sees the launch of the festival’s first East Kent Young Cartoonists competition. There will be prizes for the winners and the best entries will be displayed during the festival. And there’s more . . . but it’s all still being worked out. 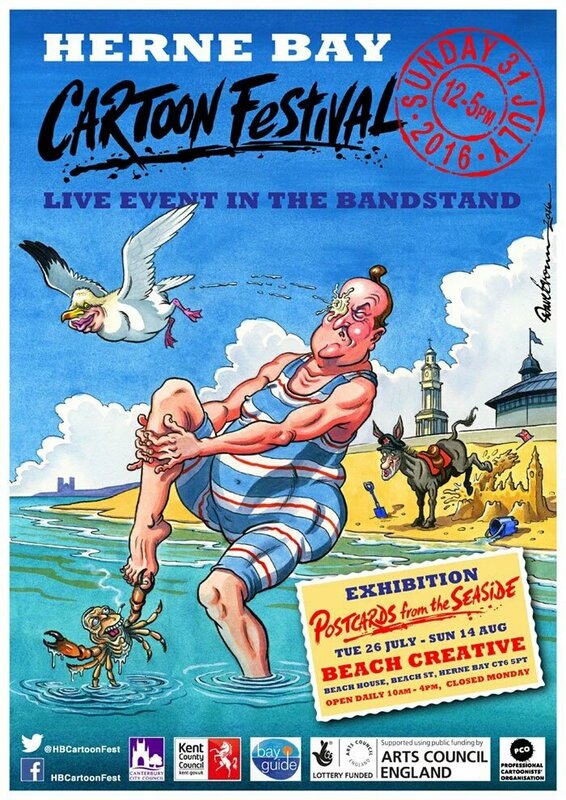 For updates follow @HBCartoonFest on Twitter or go to Facebook.com/HBCartoonFest.